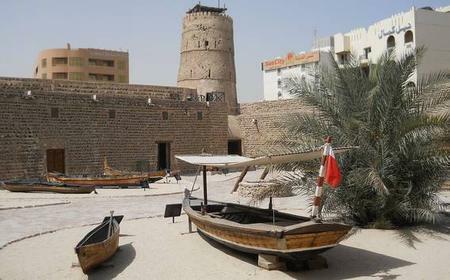 ...i, Ras al-Khaimah, or Fujairah. 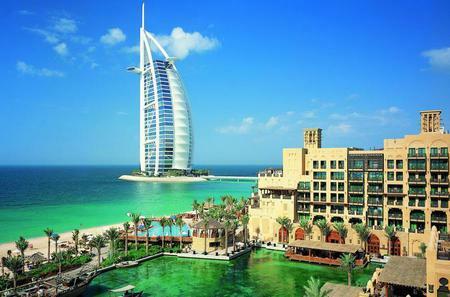 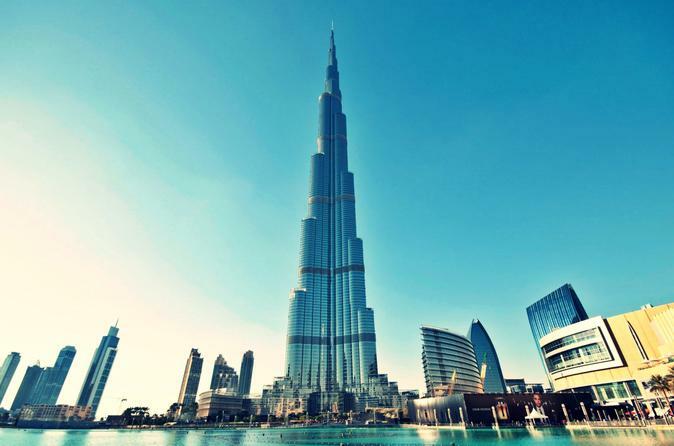 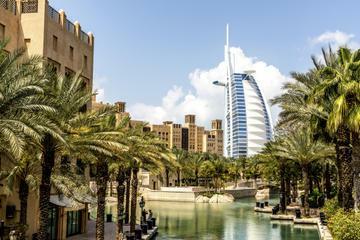 Visit Burj Khalifa, the tallest building in the world, and marvel at the Dubai Fountain. 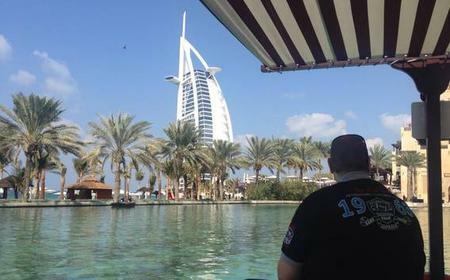 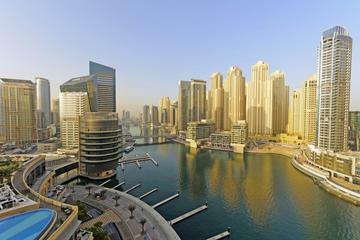 ... Arab, the Dubai Fountain, and the Dubai Marina. 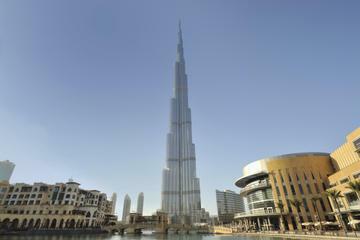 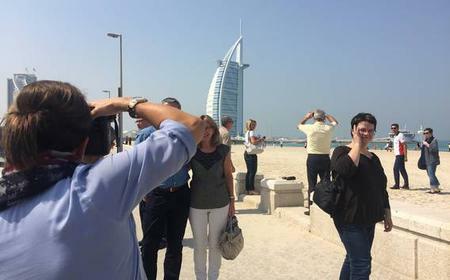 Enjoy the fantastic views from the Burj Khalifa at the end of the tour. 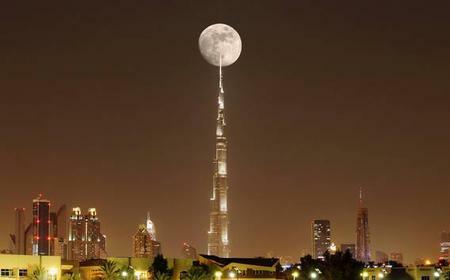 ...n Dubai. 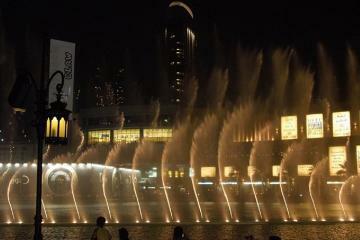 Enjoy the breathtaking views from the world's tallest building and admire the water show of the Dubai Fountain. 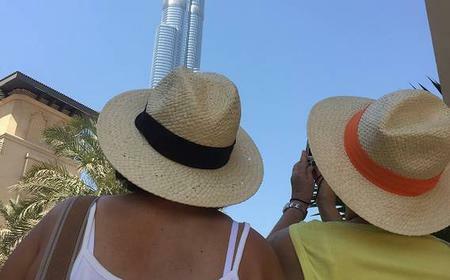 ...on, visit the ‘At the Top’ observation deck at the Burj Khalifa and enjoy a grandstand view at the Dubai Fountain Show. 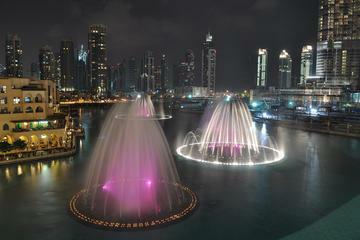 ...Arab, the Dubai Fountain, and the Dubai Marina. 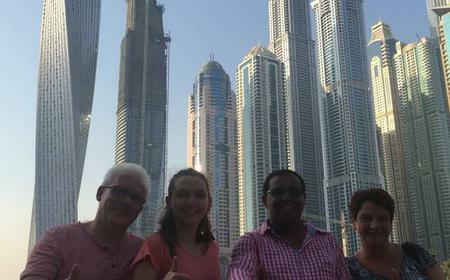 Enjoy the fantastic views from the Burj Khalifa at the end of the tour. 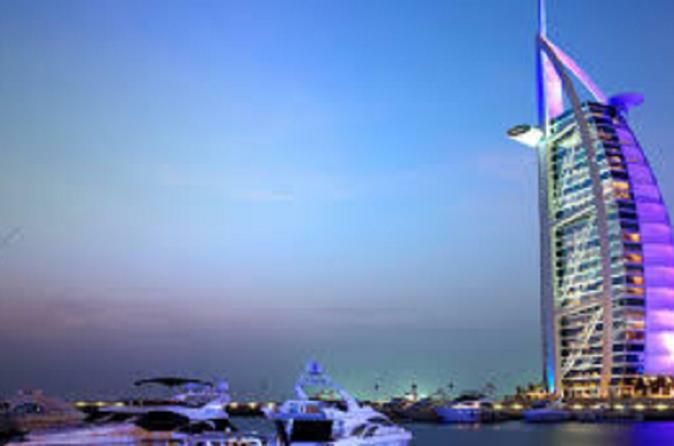 At 270 m (900 ft) in length and sporting a jet that shoots water up to 150 m (500 ft), the Dubai Fountain is indeed the world's largest dancing fountain and one with a very enticing display - a definite must see. 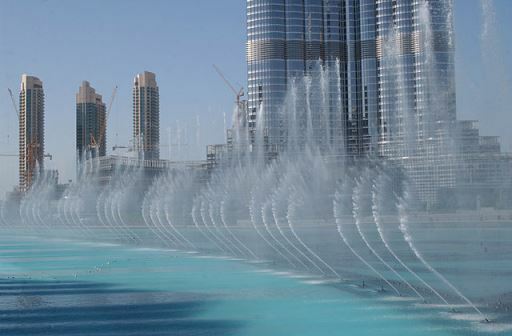 At 270 m (900 ft) in length and sporting a jet that shoots water up to 150 m (500 ft), the Dubai Fountain is indeed the world's largest dancing fountain and one with a very enticing display - a definite must see. 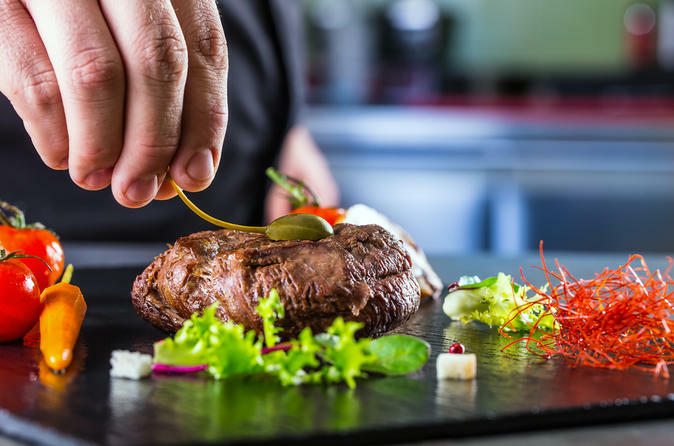 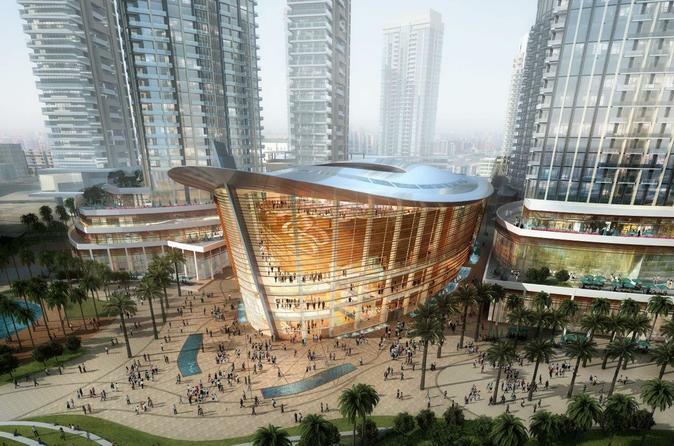 It's most easily accessed via the Dubai Mall. 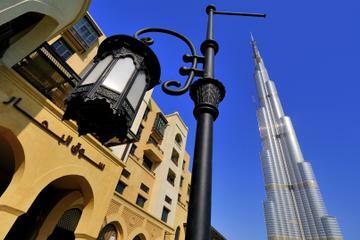 There are private entranceways from the Burj Khalifa if you're staying in a hotel there. 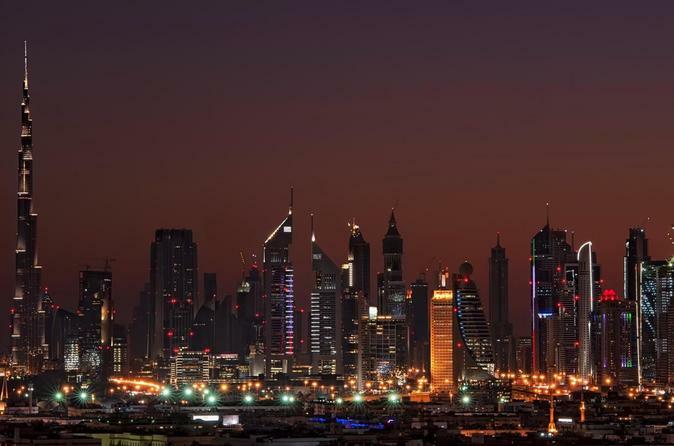 Shows are every 30 minutes from 6-10PM on weekdays and from 6pm to 11PM on weekends.